The theme is Beach]Underwater. 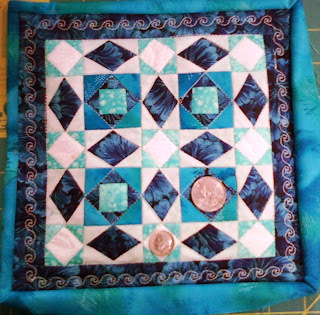 I made a Storm at Sea quilt because it reminds me of how I think of the beach. I love watching storms on the Oregon coast. 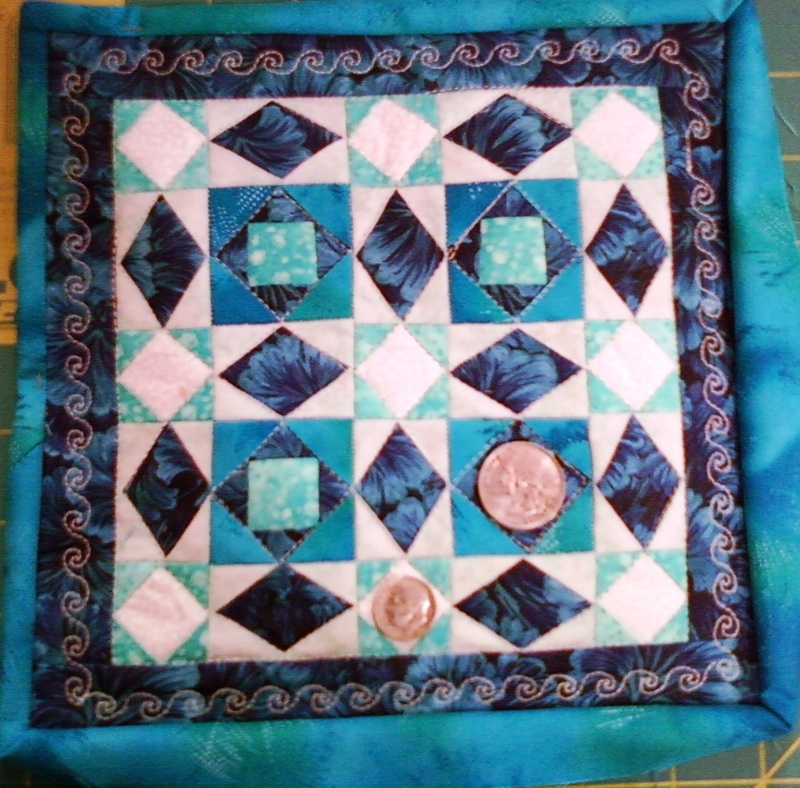 The total size of the quilt is 8 inches. There are 145 pieces including the border. 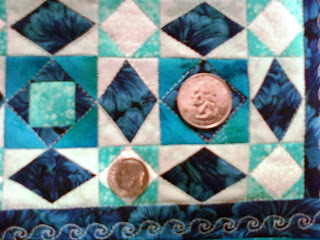 I paper pieced the mini. I will be giving it away to my partner. I hope she likes it. Sorry the pictures are fuzzy. It was taken late at night. Yes those are a Dime and a Quarter. Lovely little quilt - I particularly like the way the diamonds seem to be 'wavy'. Great little FNSI project! Oh, my tiny little pieces...I always think this takes a particular bravery to stitch so tiny. 2 inch seems to be about my limit. This is so pretty. I too love the storms at sea though my experience has been mostly gulf coast. Love the colors and the pattern. I can't imagine making anything with those small pieces. I have decided that when I have a grand daughter I am going to force her into playing with dolls so i can make bunches of small quilts. Wow that is a maze za zing!!! !